Sound echoes across the Chase Gallery as Gary Castle pounds nails into the walls to hang the final photographs. Across the room, Jim Clark and Albert Lee are organizing how their prints will be laid out and filling a table with memories. 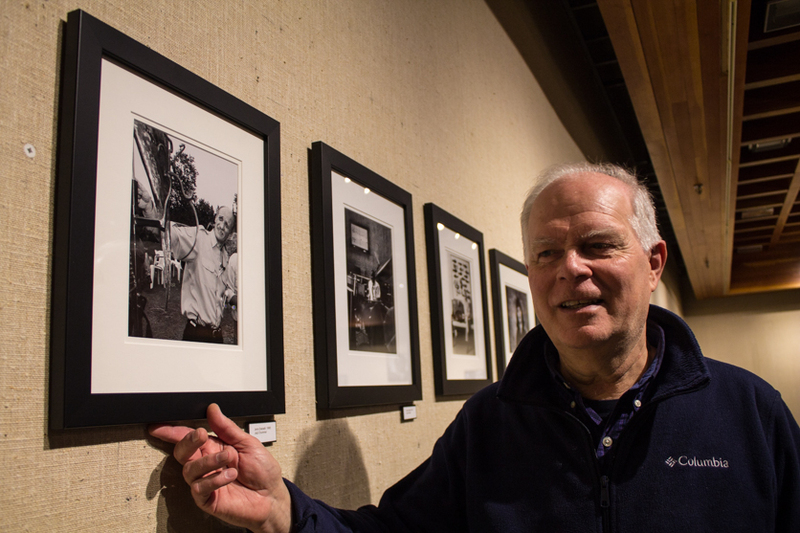 Their show, “Memorable Encounters,” opens Thursday at the Nova Scotia Public Archives. It focuses on journalistic highlights from each of their careers. Most of the prints displayed have never been seen. The three photographers met in the late 1970s when they all were photographers with the Dalhousie Life Sciences Centre. Since then, they have crossed paths numerous times throughout their careers. Castle began planning for this project in 1994. His wall features a series of black and white portraits, mainly of artists and musicians. Castle was taking photos to document people’s art and as he developed relationships with each artist he took portraits of them. Castle has never considered himself a portrait photographer and says he took the portraits “because I knew these people and I gained motivation and inspiration from each of them.” The 22 people pictured include jazz musician Jerry Granelli and Janet Kitz, an author of books about the Halifax Explosion. In 1976, Castle photographed Celia Franca, the founder of the National Ballet of Canada. Franca was receiving an honorary degree from Dalhousie University and was giving a speech in the old university rink before it was torn down. While Castle has displayed portraits of different people, Clark’s wall focuses on one night and one person. Clark was shooting all the boxing fights in Halifax when he learned Trevor Berbick was going to the Bahamas to fight. Clark often covered Berbick fighting in Halifax so he decided to follow Berbick to Nassau. Clark didn’t know it at the time, but travelling to Nassau would give him the opportunity to shoot Muhammad Ali’s last fight on Dec. 11, 1981. Ali was fighting for his fourth world title. “His last fight was so low key it wasn’t even broadcast live. It was sold as a cable show pay per view,” says Clark. Clark didn’t know the importance of what he was shooting, but he knew he had to return to Halifax with at least one good photograph. “You go to something like this and if you don’t come back with something, your reputation goes right down. You’re always as good as your last shot,” says Clark. 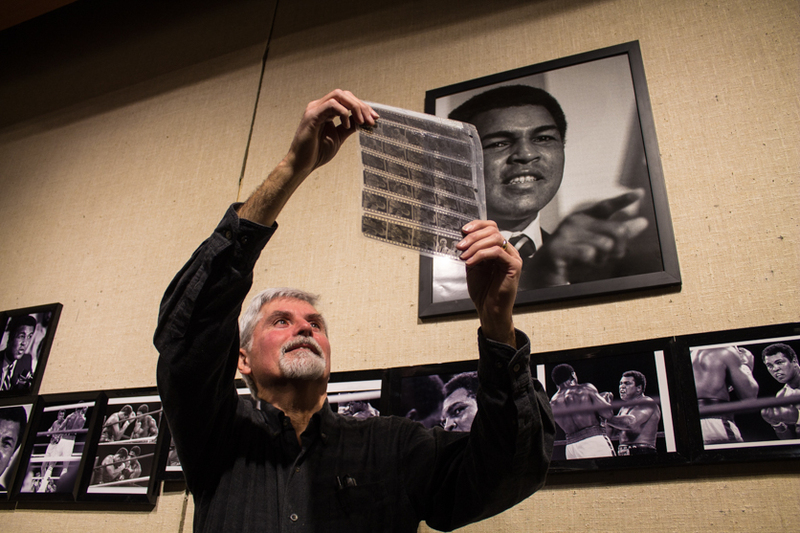 Clark says he is one of the few photographers who still has negatives and prints of the fight. He also shot Ali in his trailer after the loss. Clark sat next to Ali as he was crowded with cameras and microphones, and Ali didn’t say a word. Clark says other than his trip to Nassau, the majority of his photographic work has been in Halifax. The third photographer, Lee, is the opposite. His photography career has taken him around the world, working in Toronto, New York, Europe and South East Asia. 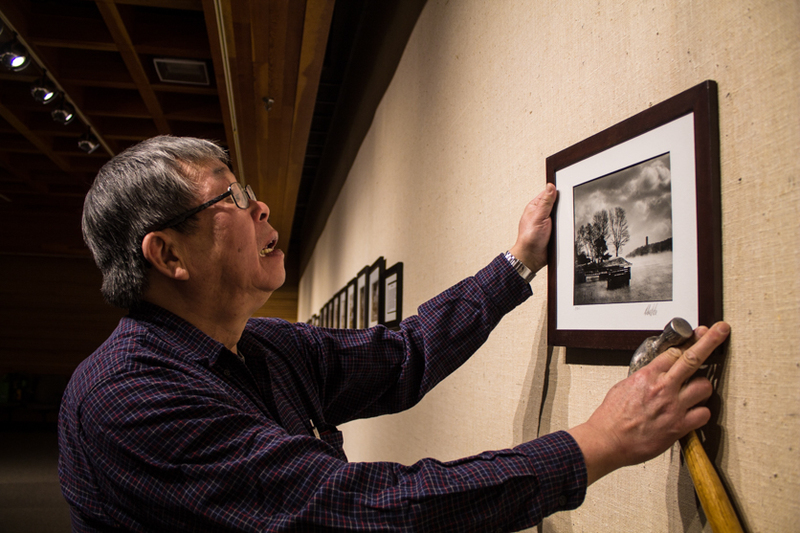 The photographs pictured in the exhibit are a collection of Lee’s personal favourites. Many have been hanging on the walls of his house for years. His favourite photograph in the collection is of a man herding geese in the village of Hoi Ping in southern China. “It’s a humbling photograph because my father and grandfather came to Halifax in 1903. I could have been that person herding geese and not taking pictures,” says Lee. 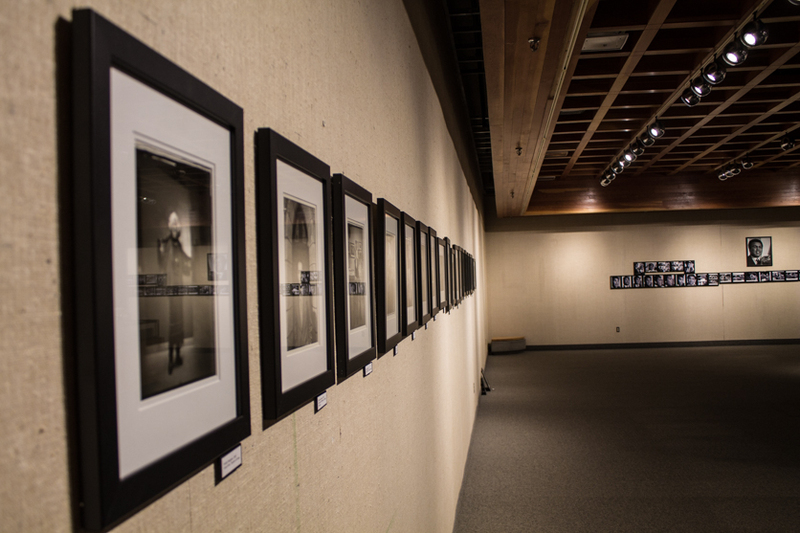 “Memorable Encounters” runs Feb. 4-26 in the Chase Gallery at the Nova Scotia Public Archives. Correction: Feb. 4, 2016: An earlier version of this story misstated Celia Franca's last name. Just a note to say how great the article was on our exhibit. Emily was very professional and very organized in he approach to the interview. Super job. Thanks from the 3 artists.